PoPville » Dear PoPville – Time Capsule Removed from Sonny Bono Memorial Park? Dear PoPville – Time Capsule Removed from Sonny Bono Memorial Park? This picture is from Friday. 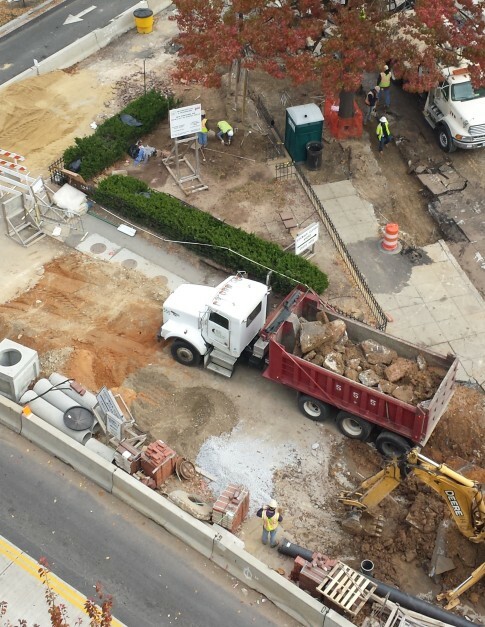 Look closely at the construction worker and you will see them removing items from the ground. I live at 1330 New Hampshire Ave. NW and have a bird’s eye view of Sonny Bono Park, or what is left of it.